Better – the brand providing the UK’s largest network of public gyms and leisure centres – has announced some of the ways it will partner with its customer members to help them walk, run, swim and cycle themselves proud while fundraising £500,000 for Sport Relief. Since November, when Better became the official health and fitness partner for Sport Relief 2016, leisure staff have been putting their heads together with customers to devise a series of spectacular sporting events that will combine efforts to pool funds under #Teambetter and help those who are training for the Sainsbury’s Sport Relief Games, taking place Friday 18th – Sunday 20th March. 10,000 Better staff in leisure centres, gyms, pool, libraries and children’s centres will capture the energy, ideas, sporting talent and enthusiasm of users during an estimated three million customer visits to meet the fundraising target through a myriad of sporting challenges. “We’ve set ourselves an ambitious fundraising target. But with #Teambetter’s strong partnership with customers we think we can smash it. Better Leisure centres will offer existing members and non-members some first class venues for their training challenges. Iconic facilities include Zaha Hadid’s London Aquatic Centre, The Copper Box Arena – as well as over 100 other sports and leisure facilities across the country. Leisure charitable social enterprise GLL operates 230 venues across the UK under the Better brand – up to half a million customers use its facilities each week – and subsidises community sport at grass roots level getting more people to take up exercise. Up to half a million customers and staff at its pools, trampoline parks, leisure centres, spas, libraries, children’s centres and playgrounds will be invited to play their part in the fundraising challenges and help to make Sport Relief 2016 the best yet. Being part of one of the UK’s largest fundraising campaigns will help Better leisure centres, sports halls and pools reach out to the community at grass roots level and encourage more people to take up exercise in the run up to, during and beyond the Sainsbury’s Sport Relief Games. 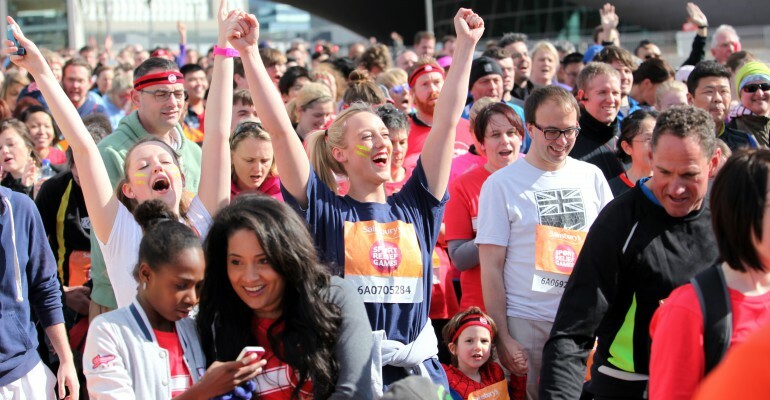 Comic Relief Chief Executive Officer, Kevin Cahill, said: “We’re really excited to have GLL on board as official health and fitness partner for Sport Relief 2016. The partnership with GLL is a very natural fit, with the organisation helping us encourage the nation to get together to get active, raise cash and change lives. The team at GLL, along with all our partners, are helping to make this year the biggest and best Sport Relief yet, with more ways than ever for everyone to take part and feel proud”.